UNCAPPED Castleford Tigers prop Liam Watts revealed he was blissfully unaware about his call-up to the England Performance Squad. The 28-year-old was included in Wayne Bennett’s 30-man squad yesterday, a deserved reward for his fine form over the past few seasons and particularly since joining the West Yorkshire club from Hull FC 12 months ago. Watts has long been one of the best front-rows in Super League, but for one reason or another has consistently been overlooked at the top level. However, the rangy forward – who won back-to-back Challenge Cups with Hull in 2016 and 2017 – has taken his game to new levels since joining Daryl Powell’s side. Speaking to The Yorkshire Post last night Watts said: “I am over the moon. “It’s something I’ve been working towards for the last five or six years. “But it was a surprise. I rocked into training (yesterday morning), sat down for a team meeting and Powelly just said, ‘congratulations’. 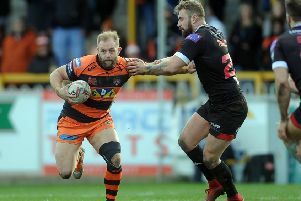 Watts – who is joined by fellow uncapped Castleford team-mate Jake Trueman, the reigning Super League Young Player of the Year – has enjoyed a fine start to the season. Crucially, though, he has significantly improved his discipline since moving to Wheldon Road. The Featherstone-born forward was sent off four times in less than 12 months with Hull just before his surprise sale to Tigers, but since then has not even been yellow carded. Watts will hopefully make the step up to Test level after missing out on the chance earlier in his career. “I got in there when I was a young kid – 19 or 20 – as part of the train-on squad for the 2010 Four Nations and the 2011 ETS, but I shot myself in the foot,” he explained referring to when, as a Hull KR player, he was arrested after a police chase resulted in a car crash. “I played for the Knights against France and Cumbria in 2011, but have not had a sniff since. Watts has essentially replaced Warrington’s Mike Cooper in the squad, with Castleford team-mate Mike McMeeken – currently injured – also dropped and John Bateman and Ryan Hall automatically left out following their moves to the NRL. “I’m surprised Mike Cooper’s not in there as he’s been playing pretty well,” said Watts. “But there’s people like Alex Walmsley, Luke Thompson and Robbie Mulhern so I know what the competition’s like. “There’s a lot of NRL players still to come in, too, so they’ll be putting in a shift as well, so we’ll have to see what happens. “I have to keep working hard. I don’t think we’re training as such. “There’s a couple of meetings to get us together and I’ve just been reading through a congratulatory email. Castleford team-mates Luke Gale, who is currently injured, and Adam Milner, who made his England debut last autumn, are also retained. Wakefield Trinity duo Tom Johnstone and Reece Lyne keep their places while Hull trio Jake Connor, Scott Taylor and Jamie Shaul are in the mix, too, along with Huddersfield Giants winger Jermaine McGillvary. Leeds Rhinos captain Kallum Watkins, Warrington Wolves’ Ben Currie and Dewsbury-born St Helens prop Walmsley are named after recovering from respective long-term injuries that ruled them out of last autumn’s Baskerville Shield victory against New Zealand. Leeds’s Stevie Ward is also there and two other new faces are Warrington team-mates Josh Charnley and Jack Hughes. Winger Charnley, who won eight England caps from 2012-14 and played in the 2013 World Cup, is selected for the first time since his return from rugby union last March after scoring 31 tries in 34 appearances for the Wolves. Former Huddersfield second-row Hughes has been rewarded for his leadership on the England Knights’ tour of Papua New Guinea last autumn from which Hull KR prop Mulhern is also promoted. 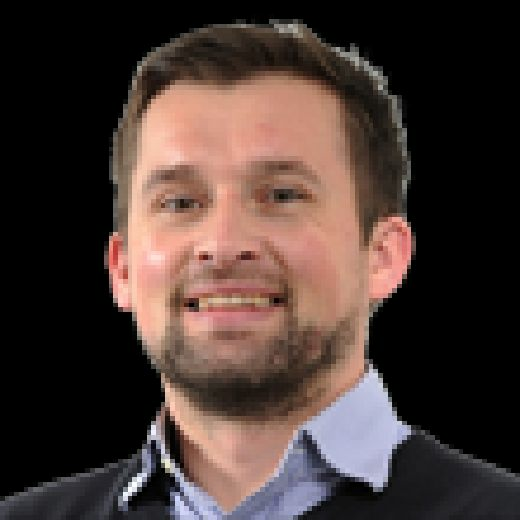 Watts, meanwhile, was contacted by England football manager Jamie Peacock last year to say he was in Bennett’s thoughts. His endeavours since have clearly paid off although he will face competition from the aforementioned props plus England regular Chris Hill and NRL front-rows Tom and George Burgess as well as James Graham when it comes to the Great Britain tour this autumn. Strangely, although this is an England squad, there are no England games this year, with the Lions reforming instead to face New Zealand (twice), Tonga and Papua New Guinea.